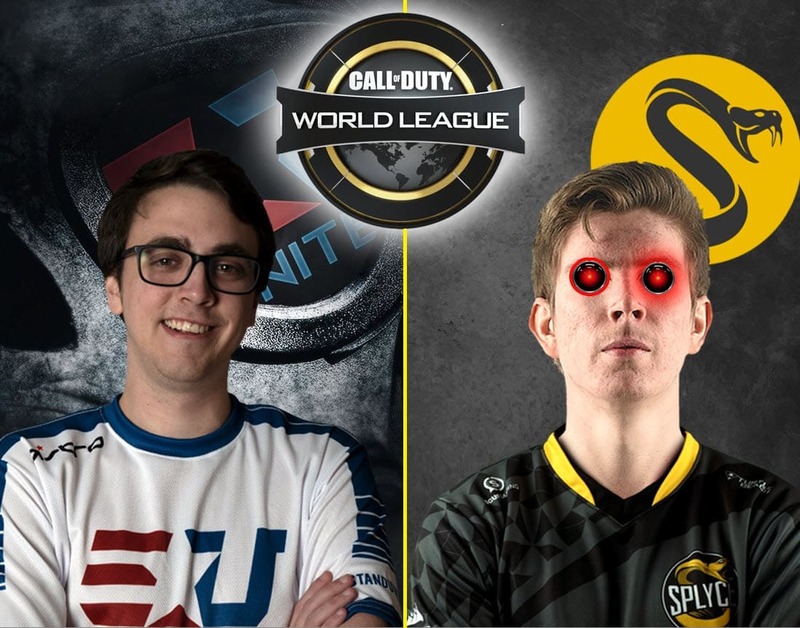 After one of the most anticipated matches in Division B of the CWL Pro League, a little awkward situation unfolded between eUnited’s Clayster and Splyce’s Loony. Check out what happened. When Division B was announced for the 2019 season, eUnited and Splyce found themselves in the same division. Eager fans marked their calendar the date for the matchup as it was going to be a good one. Both team faced off in some intense battles at the last Call of Duty major, which was the CWL Vegas Open back in December. Both teams finished in the top 4, and their matches were action packed. This time around, Splyce had something to prove since eUnited came out on top. eUnited, on the other hand, want to continue showing their dominance and keep what they had at Vegas. The matchup was everything Call of Duty esports fans were hoping for. Highlight reels, some trash talking and awkward hand shakes. The highlight reel definitely went to Prestinni of eUnited, who clutched a 1v3 on Search and Destroy. eUnited ended up getting the best of Splyce once again, winning 3-1 and sealing the deal with an incredibly comeback on Seaside Hardpoint. Splyce were winning 219 to 169 and it was certainly looking like Splyce was going to live to see another match. However, some clutch moments and bad respawns took eUnited to the top. At the end of the game, the gg handshakes were underway. Or, props? 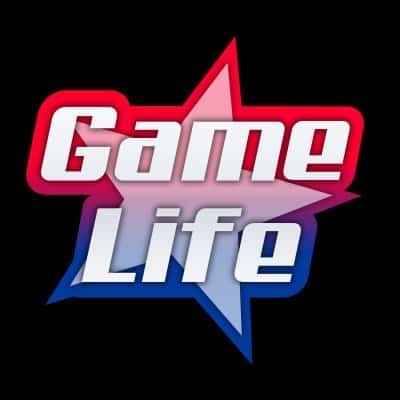 Viewers weren’t sure, as was with Clayster and Loony. What seemed to be a regular handshake afterwards became a little confusing. As eUnited stoof up and gave props to each other, Clayster led the way toward Splyce’s corner. 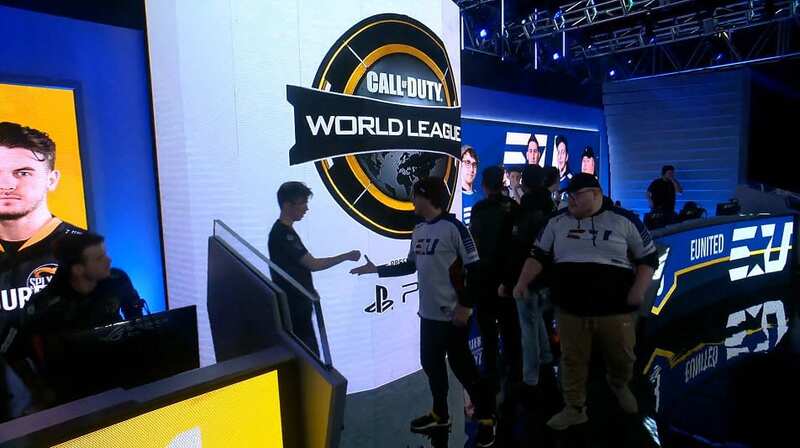 The first contact was met with a handshake from Clayster, which is typically more polite and respectful to give a handshake to your opponent. Although players do give props, Clay took the more polite approach. However, it seems that Loony wanted none of it. As Clay stuck out his hand, Loony stuck our his fist to give props. For a split second both Clay and Loony were confused, and it seemed that Loony was not going to give up his position (more on this below). Clay gave in and changed his gesture to give props. Considering the fact that eUnited just robbed Splyce of a win and beat them in the series, it was the right approach for Clayster to take. However, most will look past Loony’s gesture, but considering what happened earlier in the match it’s most likely justified. Emotions were high at point of the series. During match 4; Prestinni was able to get a 1v3 clutch on Splyce, and it started with Loony who was planting the bomb. Prestinni went tunnel and shot at Loony between the objective. This must have frustrated Loony as he was going to plant the bomb. Then, Prestinni find the two other players and got the defuse, which all started with Loony. A few rounds later, Loony got his revenge where he also clutch a 1v4. If Prestinni’s 1v3 clutch was impressive, how about Loony’s 1v4 clutch to secure the bomb? 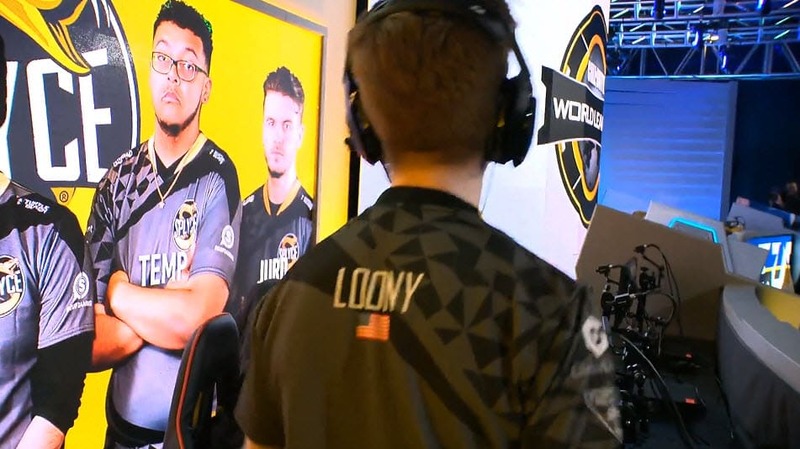 With just 2 HP, Loony was able to heal himself and eliminate eUnited’s last player before he was able to defuse. This hyped Loony up, in which he stood at the end of the round and had a few words for eUnited’s corner. Was this the reason Loony was not willing to change his hand gesture and shake Claysters hand? Was he riled up and frustrated with how the series went; especially at the end of the match in which eUnited cameback? Loony was definitely the most hyped up Splyce member and not shy to hide his emotions. Regardless, both Loony and Clayster had class to still acknowledge a good game and move on. This will be a match we hope to see again at the Call of duty World League Fort Worth Open.